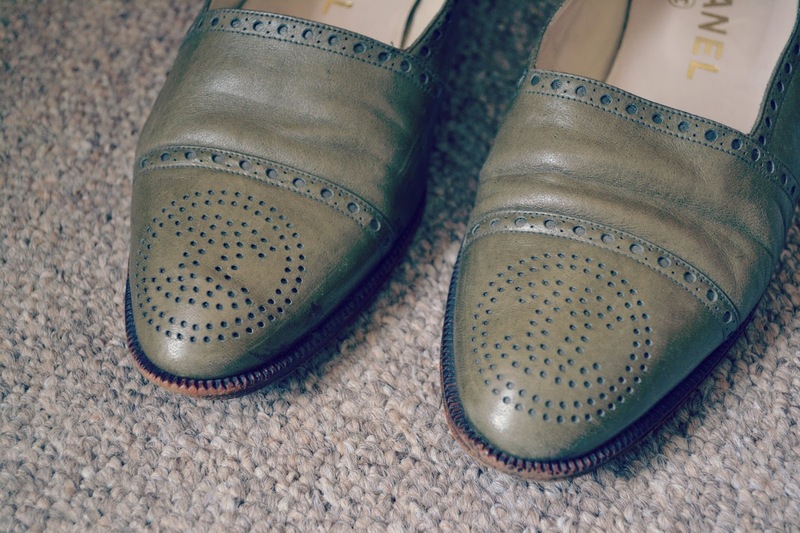 I think I had plans to write a 'favourites' series on the blog and keep it regularly updated with latest greatest finds, but that seems to have fallen by the wayside as when I checked back I had last blogged a 'favourite' based post in July 2013! I featured a pair of shoes (see here) which I did indeed almost wear out over the summer, they were certainly a favourite. 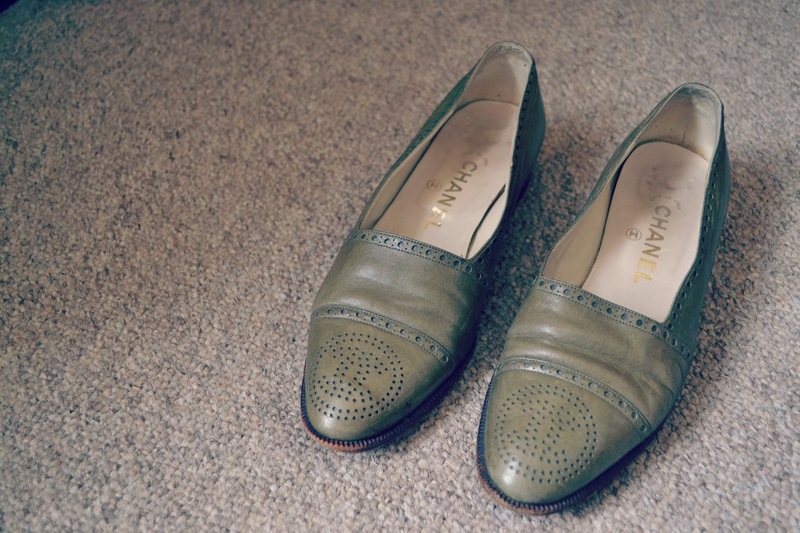 It stands to reason that any favourites would include a pair of shoes, and my current faves are these Chanel loafers I picked up from eBay. They weren't cheap (well, not too bad for Chanel) but I couldn't resist them. No one had bid on them so I put a bid on and forgot about it, then promptly won them! I love the colour, the leather is super soft and the punchout interlocking C logo on the top cap is amazing. They are very comfy, and I know they will be an 'all year round' shoe that I will keep forever. If my Chanel ballerinas are anything to go by, these will just get better with wear. Love! 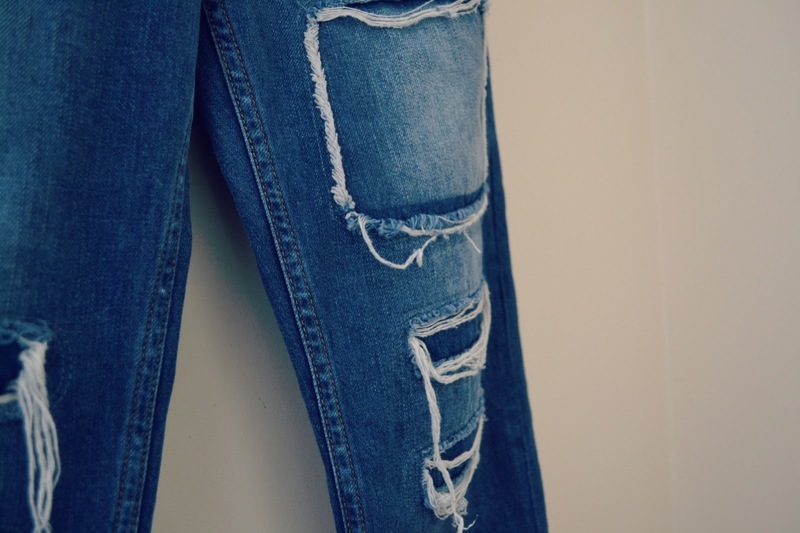 I am really crushing on ripped denim at the moment. 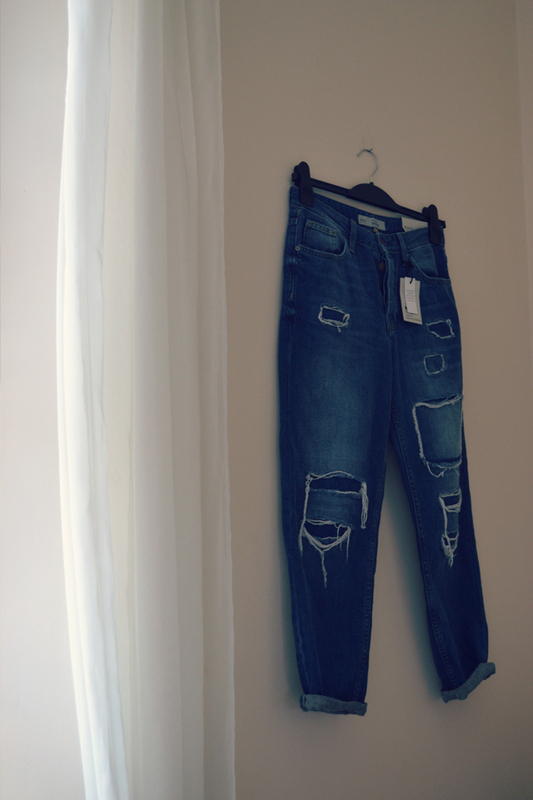 I'm loving cut off hems, raw edges and rips, and these Hayden boyfriend jeans were on my list of pairs to get hold of. They went into the sale in Topshop but sold out in my size; however last weekend Adrian and I went back to Devon for a quick visit to see his mum and dad, and on the Sunday we had to go into the local town, and of course it was worth looking in the Topshop there and I found a pair in my size for £15, which is great! 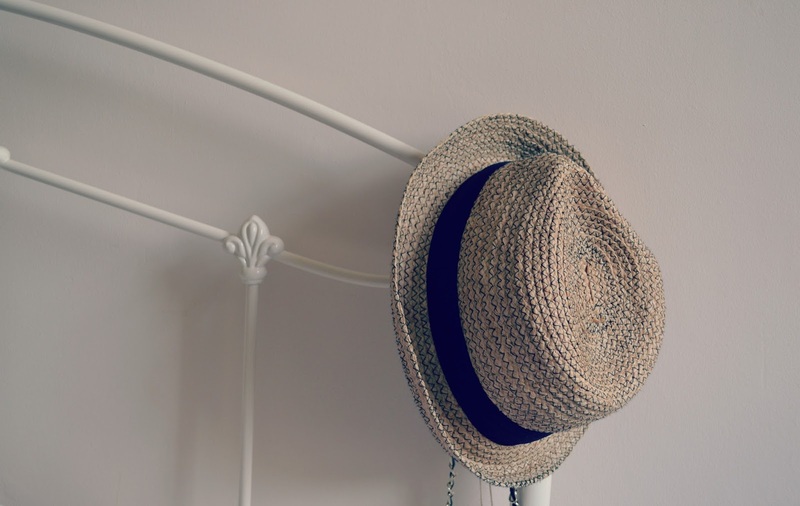 The final fashion-related favourite is my straw hat. Every summer without fail, out comes this hat and I wear it pretty much daily, it's looking a bit tired now but I couldn't bare to get rid of it. I am sure you'll have seen it many times on the blog so apologies if you can't stand the sight of it! 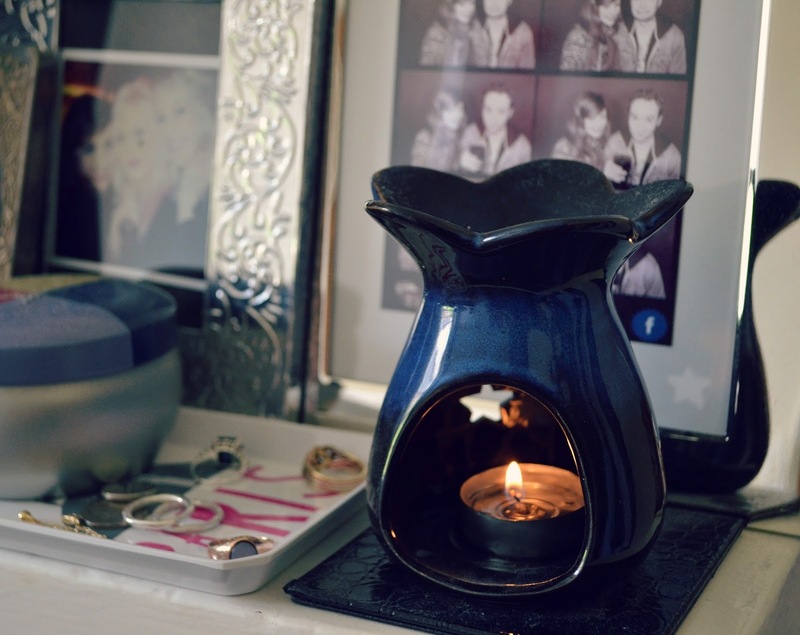 Two un-fashion-related favourites are my wax burner, which is a good alternative to scented candles. I was given some wax melters in different scents which you can mix together or burn separately to create bespoke fragrances. I love these because there is a huge choice of scents, that you don't often find with scented candles; such as bergamot, champagne, the scent of the beach, and so on. Also they work out much cheaper, each melt burns for several hours and you can normally burn it twice before the scent depletes, and a box of melts costs £6 (you fill the box with melts that you'd like) My local supplier of these is an amazing bathing and cosmetics shop in Weston aptly named 'Stinx' but you can buy them online here, and also via their eBay store with free postage here. 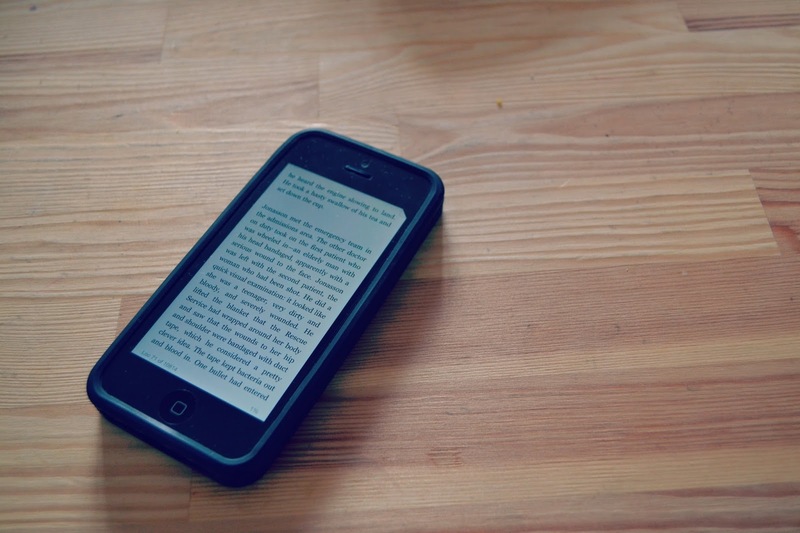 Finally, I am also really enjoying reading on my Kindle at the minute. I don't really like Kindles; I'll take a proper book over an electronic one any day; but they are useful in that I can spend my lunch hour reading without having to drag a huge tome to work and back each day, so I can sort of see where the appeal lies. If I was to go on a beach holiday I can imagine this would be something I would use; when Adrian and I went to Portugal last year I got through 4 books in the week we were there so if you do enjoy reading it would definitely take up less space in a suitcase!